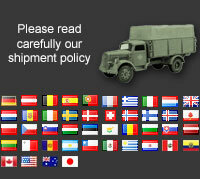 We are extremely pleased have the distribution in Spain for the Schuster.ru Company. Schuster Company was founded in 2008 by people passionate about history and truth reenactors. Schuster is an independent manufacturer located in Minsk (Belarus). Schuster produce high quality replica of military uniforms for WW1 and WW2 using only natural materials. They make uniforms on the period patterns based on Museum examples. For others Schuster products, please contact us. 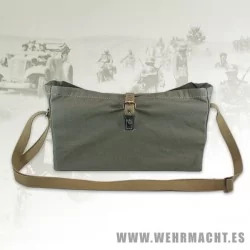 German carrying bag for ammo box, replica made of green canvas with lock and adjustable strap. Dress cap for DRK nurse, replica made of wool, grey/blue color with DRK insignia included. DRK coat for nurses, replica made of wool, double-breasted, belt and removable capeline. Collar tabs not included. DRK nurses skirt, replica made of grey wool, seven side buttons. Covers necks to Wehrmacht and Waffen SS, is used to cover the neck of jackets on the inside. Was used primarily during the early years. Valid for models M36, M40, M41, M42 and M43 privates and NCOs.